Being the head of the family is never easy. You need to provide all the needs of every member of your family. This is exactly what Savea Lagomalu of Moamoa was doing when the Village Voice team approached him yesterday. 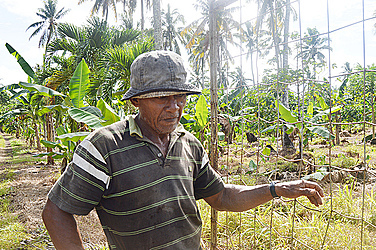 The 57 year-old-father is a farmer at Sefo Pa’u’s plantation. “When you are titled as the head of your family, you are responsible for every member of your family,” he said. “You need to be strong for them no matter what. The father was struggling with the flu but he said he can’t afford to take time off work. “As you can see, I work because I’m the head of our family; everyone is depending on me. “So whether I am sick or tired, I still have to come work because I have a responsibility. The father went on to say he has family overseas but he believes with the strength that he has, he can provide for his family working as a farmer. 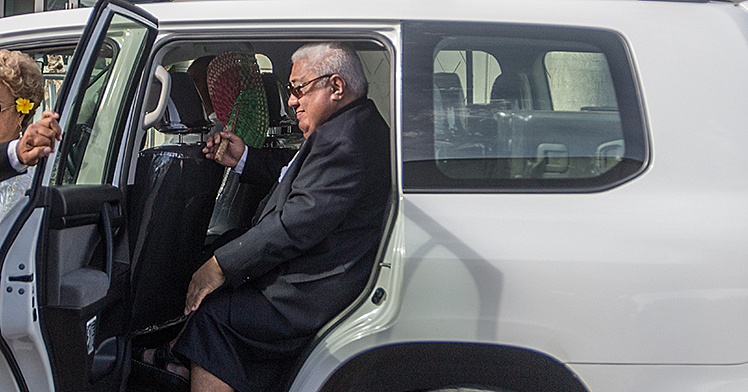 “I don’t depend on anyone else but myself,” Mr Lagomau said. “Yes, we can get help from our families overseas but not all the time. “We don’t depend on our relatives because I know they also have to deal with a lot of stuff. Savea said fathers need to be reminded about their responsibilities. “Every father has many different responsibilities. “Some of these are a great joy and others are a little harder to accomplish. “They not only provide for the family, raise the children in the discipline and nurturing of the Lord without provoking them, help family members in our village committees and many other duties. “It’s about time we fathers should step up and do our jobs. But Savea says he is a father that can’t do all these without God’s support. “To me personally everyday is a blessing to find myself working. “I believe without depending on God to help us, we don’t do what we do. Savea is a father of three school aged children.